If you want something badly enough, at some point, you have to be willing to reach out and take it. 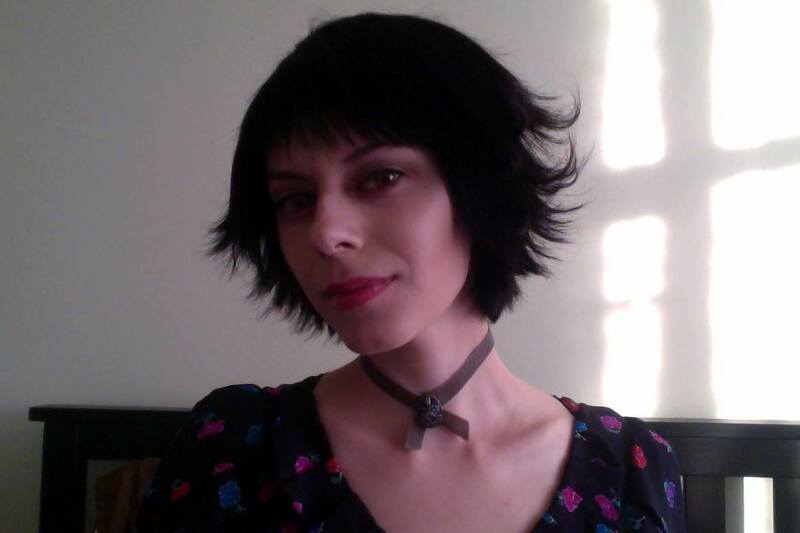 So here I am, stating it outright: I want to play Alice Cullen in The Storytellers: New Voices of The Twilight Saga. The competition, aimed to create film making opportunities for female directors and screenwriters, is an interesting one. Hosted by Tongal and Lions Gate Films, as well as curated by a panel of accomplished female filmmakers and actresses – including the likes of Stephenie Meyer, Kristen Stewart, and Octavia Spencer – it’s an opportunity for Twilight fans to truly step into the fictional universe they’ve enjoyed for so long. Using The Twilight Saga: The Official Illustrated Guide as a basis, it’s also an opportunity to take an unexplored aspect of Twilight, flesh it out, and make it canon. And, if you’re someone like me – who was been unofficially been portraying a character from The Twilight Saga for years – it’s a chance to take your passion to the next level. There are three screenplays featuring Alice that were selected by the judges. One follows Alice through her shock treatment therapy as she forgets the most horrifying aspects of her human life; one takes a look at her transformation into a vampire and the gentlemanly groundskeeper who fought to protect her; and one explores Alice’s first meeting with Jasper in a Philadelphia diner. That means three separate looks at her early life, three separate interpretations of the character, and yes – three different actresses bringing Alice to life in new and exciting ways. And it would be a dream come true to be one of them. 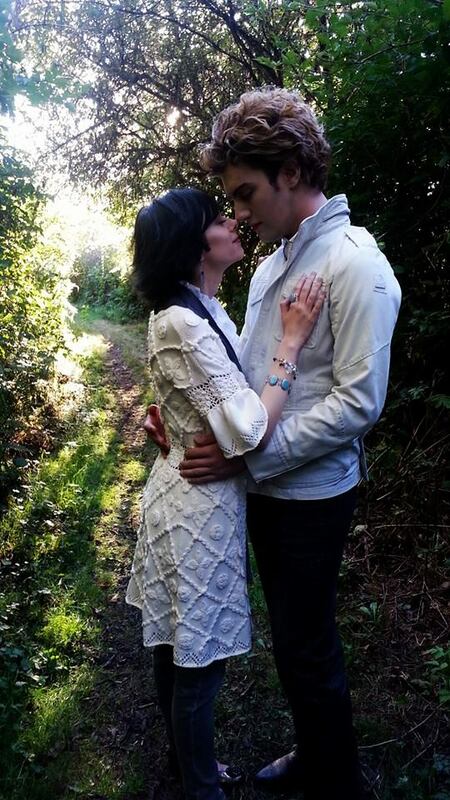 So, since there’s nothing like a little shameless self promotion – something that many women, myself included, struggle with – here are the five reasons I should portray Alice Cullen in #TwilightStories. And, since I’ve met so many amazing people within the Twilight fandom, I’ve asked a few of them to provide their honest opinions of my portrayal of Alice, which I’ve shared here as well. When I read a book, my mind automatically starts conjuring up what the people in it look like. This seemed especially true for the character Alice, and I had a lot of opinions of how she should be. So imagine to my surprise the first time I got to meet Vee and be pleasantly surprised by the pure energy that vibrated off of her. People don’t often live up to the hype that I place on the character in my mind, but Vee was definitely an exception. She brings such joy, thoughtfulness, and life to Alice that it radiates. Not only does she bring those qualities to her portrayal, but Vee brings little quips to the character that so many wouldn’t pick up on in the same way. I honestly cannot imagine someone else being able to personify a character in the same way that Vee has been able to. Being part of the Olympic Coven isn’t just a matter of dressing up as a character and responding to their name for a weekend. You need to carry yourself like that character; you need to craft your sentences to match the way they would speak; and you need to have an unparalleled understanding of their history in order to realize them in a real world setting. It’s similar to playing a Disney Princess at Disneyland. We may not be on a screen or a stage, but it’s one of those situations where all the world’s a stage. If I can portray Alice Cullen across the length of a weekend, using acting and improvisational skills to adapt to just about any situation, I feel confident in my ability to bring her to life for a five to ten minute short. Vee is the perfect person to play Alice Cullen. When I think of the character that Stephenie Meyer was describing in her books, Vee embodies her character perfectly. Not just anyone can play Alice, and it takes much more than just looking like her. The first time I met her while in Forks Washington, it was a surreal experience. It was like Alice had stepped off the page of the book, and was standing right in front of me. Not only does she look like her, she is tiny and pixie-like, just how you would imagine Alice would be. She makes you feel like a child again, where for a moment you are able to make believe that your favorite character exists. For those that are fans of the Twilight Series, meeting Vee is truly a gift, and she definitely merges fantasy with reality. When I realized that I had no video content that demonstrated my ability to be in character as Alice, I created it. After all, no one was going to cast me on moxie alone – “I swear, I’m a good Alice!” – so I had to prove that I could fully become the character. I knew I wanted to create a YouTube series, but I needed a reason for Alice to be talking directly to a camera and a way to excuse my low budget set up. Dear Bella was the answer to that. Through a video diary format, it allowed me to explore Alice’s thoughts, feelings, and motivations during key points during The Twilight Saga – content that we’ve never actually seen. The Twilight fandom is all about those “missing moments.” It’s part of the reason why fan fiction exists; people want to experience the story they love from new and unexplored perspectives. The feedback I’ve received from this project has been extremely positive, and I feel it has demonstrated not only my understanding of Alice’s character, but my ability to become her, as well. I’ve had people tell me that when they watched Dear Bella, they felt like they were Bella; like I was their best friend and I was speaking directly to them. That makes me happier than I can express. That makes me feel like, as Alice, I’ve done my job. 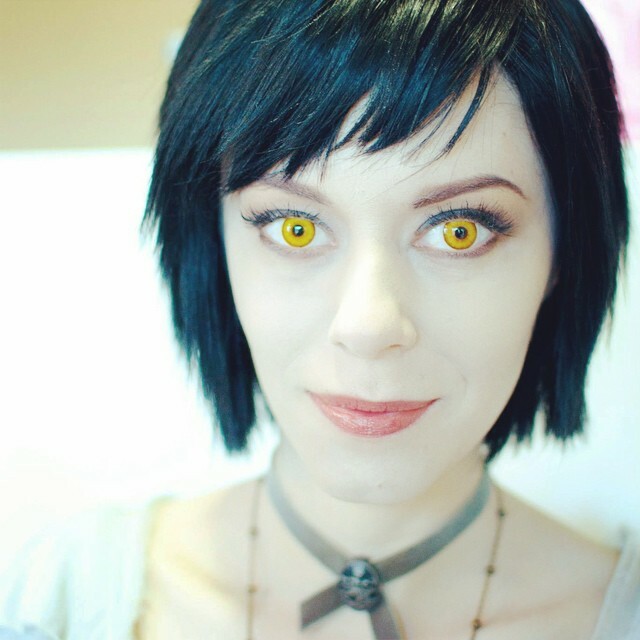 When I first saw ‘Alice Cullen’ at SMD 2013, I was impressed with how close she was to Alice in looks and behavior. She is petite. She is very energetic, as ‘Alice’ and as herself. I’ve seen her interact with Twilight fans and her Olympic Coven cast mates. She has played off of both very well. Teasing with ‘Emmett’. Put out by ‘Bella’s’ poor fashion sense. Playful at times with the fans and ‘Jasper.’ Also open and friendly with fans. Her recent ‘Dear Bella’ videos are an excellent showcase of a wider range of situations and expressions. I highly recommend her to be ‘Alice’ for any of the Storyteller films. I don’t look like Ashley Greene – I’m not shy in admitting that. There are stylistic similarities, as my hair and wardrobe as Alice are inspired by the abundance of visual references from The Twilight Saga, but fundamentally, we don’t look alike. And that’s okay, because Ashley’s interpretation of the character was just that: an interpretation. Another actress may have played her differently. Another actress may have had different hair, or different wardrobe options, to suit their facial structure and body types. It’s also unlikely that any director chosen for The Storytellers would be searching for an Ashley Greene lookalike to portray Alice – not when the franchise has been there and done that. So, no, I don’t look like Ashley Greene. But I do look like Alice Cullen. No, I’m not espousing the virtues of my “unearthly beauty.” Give me a break. What I’m saying is that I have extremely small bone structure, I’m very slender, and I’m short. I have black hair, dark brown eyes, and angular features. I’m most often described – sometimes to my annoyance – as a “pixie” or an “elf” or, the worst, as “tiny.” I carry myself gracefully. My voice is high pitched. I look young – dependent on styling, often up to 10 years younger than I actually am. So, potential directors, you could cast some 5-foot-10 stunner to play Alice. Or you could cast me, the girl whose favourite piece of jewelry is a charm bracelet from when she was seven years old. Because children’s trinkets are the only things that don’t fall off my baby-sized bones. Literally. My wrist is smaller than the average two year old’s. I guess if I’m not cast as Alice, I could always model for Gap Kids. Vee not only takes great care in her costumes, wigs and make-up to portray her character, but she brings to life the very essence of Alice Cullen. She puts herself directly into the characters shoes (literally & figuratively), feels what Alice would feel, says what Alice would say, and stays true to the character in every sense and manner imaginable. She has brought to life one of my favorite characters from Twilight in such an indescribable way. She draws fans in immediately and intimately and can often do so simply through a glance. She makes others feel so comfortable and at home with her. She is creative and ever so imaginative and invents new and exciting ways to interact with her fans. One great example are her “Dear Bella” episodes. I am forever grateful for all of the time, energy, money and dedication she has put into her cosplay, developing her fan base, and interacting with us all. I am truly in awe of her as a person, as a cosplayer, and of course, as my Alice Cullen. Not including all of the Twilight fan and event pages that know me and enjoy my portrayal of Alice, that’s a reach of 11,109 Twilight fans. And this is a competition that’s contingent on fan voting. With $100,000 on the line, every director in the competition will be thinking strategically, and things like reach and opportunity for promotion will undoubtedly come into play. In my opinion – whether it’s me or not – this is why it’s important to include Twilight fans in each production wherever possible. They understand the fandom, and the fandom wants to see one of their own succeed. Don’t forget: the Twilight fandom is the reason E.L. James has sold 100 million copies of Fifty Shades of Grey. So would I use my social presence to campaign for a short film I was involved with? Absolutely. Tirelessly. Happily. Alice knows the potential in people–both good and evil–because of her gift of foresight making her a person who could be jaded or fearful but chooses to layer beauty onto everything she does, and Vee has taken this piece of Alice and used it in her work with the Olympic Coven both during events and in maintaining their online presence with class and a subtle humor that comes through everything she does without pretense. Vee has an aura of youth about her, as well as a sense that she might be much older in mind than her outer appearance would suggest, which really completes this picture of Alice Cullen that you get when you see her and speak to her in costume–she’s human, but otherworldly, and brings to enthusiastic life the glittering world of Twilight in a seamless manner many cosplayers–myself included–would love to be able to do with the same amount of seemingly unconscious ease. Last but certainly not least: I am a fan of Twilight. I love Alice Cullen. I adore the fictional world that Stephenie Meyer created. And in some way, I would love to pay homage to that on a grand scale. Although I can and do act, I am not an actress. Not by profession. In expressing an interest in this project, I’m not thinking of Twilight as a launching pad for something larger. I’m not an actress who dislikes Twilight but sees the opportunity associated with being involved with the franchise. No; I’m a character actress. 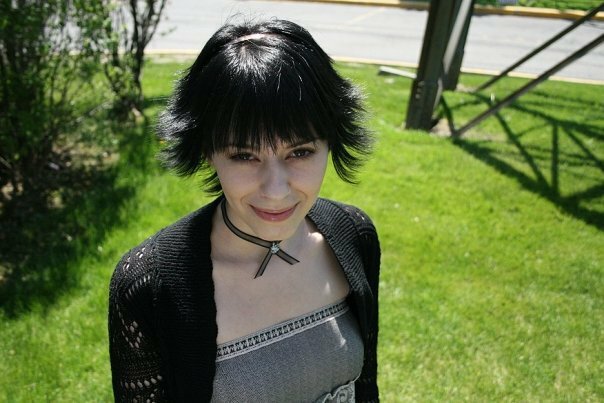 Specifically, I’m an Alice Cullen character actress, and I’ve dedicated hundreds of hours of time – and my own money – to bring her to life for Twilight fans. If I’m cast in The Storytellers: New Voices of The Twilight Saga, you aren’t just getting an actress. You’re getting my unbridled love for the character, my dedication to bringing her to life, and my desire to see the project succeed. At the risk of rejection and ridicule, I’ve campaigned tirelessly via social media and my blog. I created Dear Bella in response to directors asking for footage of my interpretation of Alice. At the risk of looking arrogant or self absorbed, I’ve created this blog post. And I’ve decided that I’m not going to worry about the perception or what may people think of me as a result. Why? Because this competition is an opportunity for women in film. As I mentioned up front, we, as women, are socialized to be demure, to share credit, and not to self promote. It’s a complex part of the reasons why women in the working world advance less than their male counterparts do. So, in the spirit of The Storytellers, I’m being proactive and putting what I want into the world. I’m owning my accomplishments, espousing my virtues, and letting everyone know why I’m a valuable asset. Alice Cullen isn’t afraid to assert herself, and in this matter, neither am I. My family and I have lived in Forks most of our lives and have owned businesses, in some incarnation or another for much of that time. One dreary afternoon I was sitting in my shop, Alice’s Closet, when the door opens and in bounces Alice Cullen, incarnate. I literally had to do a double take. 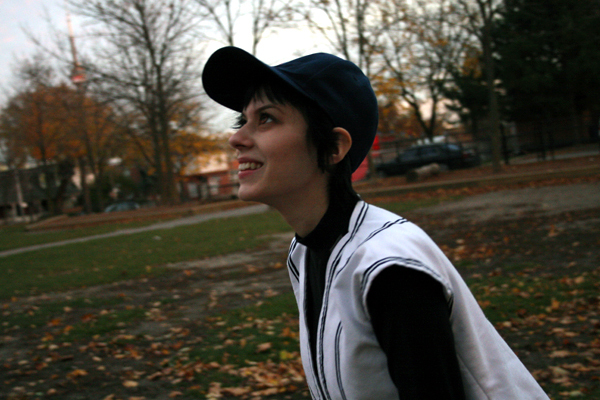 She was just a tiny bit of a thing, dressed in full baseball regalia and with the brightest yellow eyes I’d ever seen. Her hair was flipped to perfection and she had the pointy, pixie-like features that are so associated with Alice when reading the Twilight Saga. I couldn’t believe my eyes! I’d seen cosplayers in town before, on many occasions, but none who were so perfect in the look. She glided over to the counter and introduced herself as Viktoria and told me she was here from Canada. Just listening to her talk and her mannerisms (as herself) made her even more perfect. Her wit and sense of humor were spot on and her laugh was like a tinny bell ringing. I was mesmerized, to say the least. When my friends and I took over planning Stephenie Meyer Day in Forks we knew we wanted to bring a sense of immersion to fans, much like a trip to Disneyland so when it came time to start casting for Bella, Jake and the Cullens I knew EXACTLY who would be my Alice. Due to her real life profession she couldn’t make the first two years, but in the third year she changed jobs and I finally had my prize. I could finally share her with everyone and she delivered. She was impeccable in her looks, and interacted with fans just as I would imagined Alice would. The next step for #TwilightStories is to name the top 25 prospective directors, which is exciting for those who are eagerly waiting to hear back. When these talented ladies are selected, they’re the ones who will be building a vision, assembling a cast, and ultimately, bringing the stories to life. And for now, since I can’t see the future, all I can do is wait. There is much more to cosplaying than being a well-constructed look-alike; you must bring the character to life! Vee has done an amazing job of exuding Alice’s fun-loving and adorable personality wherever she goes. Interactions with her make you feel as though Alice Cullen is your best friend. While you are speaking, you are her Bella. I had the privilege to interact with her in costume while I was portraying Aro at Stephenie Meyer Day in 2014. During a short demonstration, Vee was able to improvise, and end the scene perfectly in character – helping me to respond appropriately because of her being flawlessly in character. I have even referred to her out of character a few times as “Alice” without even realizing it. Vee would be a marvelous and indisputable pick for the Storytellers project. I love how hard you’re campaigning for this! You’re right- most women need to work on their self promotion. You bring up great reasons for being Alice. I wish you success! Great Youtube series, btw! Thanks so much, Ann. 🙂 I’m crossing my fingers! Well said. You have my support! I feel they should cast you for the role, the Twilight fans will indeed connect with short stories.